Vladimir Maletic of the University of South Carolina School of Medicine Greenville gave a plenary talk at the 2018 meeting of the North Carolina Psychiatric Association that described a variety of ways that inflammation can drive depression. Maletic explained that stress can increase neurotransmitters that activate brain macrophages, increase NFkB (a protein that controls DNA transcription and cell survival), and increase brain inflammation, evidenced by elevated levels of the inflammatory markers IL-1b, IL-6, TNF-alpha, and C-reactive protein (CRP). These signs of inflammation are associated with changes in brain function and connectivity that are consistent with depression, fatigue, and cognitive slowing. Inflammation measured outside of the brain and spinal cord is associated with increased activity of the insula (a key brain sensor and modulator of emotions), disconnection between the prefrontal cortex and the reward circuits in the nucleus accumbens, and decreased function and structural changes to the hippocampus (critical for memory). Maletic also explained that inflammation changes the way the amino acid tryptophan is metabolized. Normally tryptophan is converted into kyneurenic acid, which prevents excitotoxicity and has anticonvulsant effects. Stress can lead to tryptophan being metabolized instead into quinolinic acid, which is neurotoxic and has been linked to certain psychiatric disorders and neurodegenerative processes. This in turn impairs synaptic functioning, including increasing glutamate and decreasing brain-derived neurotrophic factor (BDNF), impairing a type of glia called oligodendroglia (which produce myelin), and the formation of new neural connections. These findings have several important implications for treatment. Increases in inflammation have been linked to the atypical type of depression characterized by increased appetite, weight gain, and increased sleep rather than the more classic presentation of depression that includes loss of appetite, weight loss and insomnia. Thus, weight gain, waist circumference, and body mass index (BMI) are correlated with inflammation and can signal a poor response to medications (including the rapid-acting antidepressant ketamine and some other antidepressants). If someone with unipolar depression has high levels of CRP, they tend to have a poorer response to selective serotonin reuptake inhibitor (SSRI) antidepressants, and may respond better to the noradrenergic tricyclic antidepressant nortryptyline, the serotonin and norepinephrine reuptake inhibitors (SNRIs), and the dopamine active antidepressant bupropion. There is some good news. Anti-inflammatory drugs can help treat depression. These include minocycline and celecoxib, which have both shown promise in patients with unipolar and bipolar depression. The antioxidant nutritional supplement N-acetylcysteine (NAC) also has anti-inflammatory properties, and in a 2016 systematic review and meta-analysis in the Journal of Clinical Psychiatry, Brisa S. Fernandes and colleagues reported that NAC improves depression, general functioning, and quality of life. A 2018 article by Hua Li and colleagues in the journal Progress in Neuro-Psychopharmacology & Biological Psychiatry reported that cognitive behavioral therapy (CBT) can also reduce brain inflammation, which is measured by assessing the distribution volume of translocator protein (TSPO) on PET scans. Elevated translocator proteins correlate with microglial activation. Editor’s Note: At the end of Maletic’s lecture, this editor (Robert M. Post) asked him whether he would recommend that measures of inflammation be routinely checked in depressed patients. He said yes for CRP, which is easy to measure (as opposed to TNF-alpha). It is also noteworthy that an antibody to TNF-alpha had antidepressant effects only in those with elevated levels of CRP at baseline, while conversely, in those with low levels of CRP, depression actually got worse on the TNF-alpha inhibitor. Thus, treatment outcomes may differ for patients depending on whether or not they show high levels of inflammation. Measuring CRP (and perhaps IL-1 and IL-6) could help guide therapeutic choices in the treatment of mood disorders. Those with elevated CRP respond poorly to SSRIs, as noted above, and respond better to nortritpyline, bupropion, and SNRIs. Treatments with direct or indirect anti-inflammatory effects include: ketamine, N-acetylcysteine, minocycline, celecoxib, L-methylfolate, and a soon-to-be-available new generation of monoclonal antibodies to Il-6 and TNF-alpha. It remains to be seen whether increases in measures of inflammation at baseline are consistent markers of a good response to these medications. Several researchers have found that in mice with depression-like behaviors resulting from 10 days of repeated defeat by a larger mouse (a phenomenon known as defeat stress), interference with Il-6 secretion or its receptor effects was sufficient to block these depression-like behaviors. This effect was seen in three different instances when researchers blocked Il-6 secretion from different types of white blood cells including lymphocytes and monocytes from both the bone marrow and the spleen. 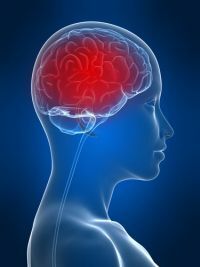 These data put an exclamation mark on the notion that inflammation measured in the blood is intimately connected to altered brain function and to depressive-like behaviors. Amazingly, these findings suggest that depression may not be all in the mind, but also in the brain and even in the white blood cells.